Mr. Rose is a senior managing director of the firm’s Institutional Property Advisors (IPA) division and its National Retail Group. He is well known for providing effective solutions to sell, buy and finance properties to meet clients’ objectives. He is a sought-after thought leader for industry panels, articles and media interviews. Mr. Rose is often quoted in Shopping Center Business, Shopping Centers Today, Real Estate Forum, Globe Street, the Wall Street Journal and ULI magazine. 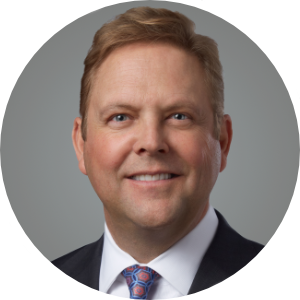 For nearly 30 years, Mr. Rose has developed extensive relationships and experience in retail real estate that includes serving as the National Director of Marcus & Millichap’s Retail Group, where he led a service line of 450 investment sales professionals operating in more than 70 offices nationwide. Previously, he was a Managing Director at HFF, where he was active in debt origination, structured finance and investment sales. He also spent 13 years at TrizecHahn as Director of Development Leasing and Management. During his career, he has closed more than $3 billion of real estate transactions. Additionally, Mr. Rose is an active member of the International Council of Shopping Centers and has served as its Western Division Operations Chair, past-California State Director, Western Conference Chair, and has received his Certified Retail Property Executive designation in 2013. He is also a member of the Urban Land Institute. Mr. Rose received a Bachelor of Science degree with an emphasis in real estate and finance from the University of Colorado, Boulder and serves as on the university’s Real Estate Center National Advisory Board.